Here are some common questions that people ask before they become members. What is The Laughable News? The Laughable News is a content provider for community newsletters and other print publications. Content is the most important thing to consider when starting a community newsletter or other print publication. To be great, your publication needs to have a variety of quality content. Focusing strictly on jokes just won't do; nor will filling one solely with puzzles/games. Readers enjoy a wide variety of things, and you need to cater to that. This is where we come in. The Laughable News provides amazing content for all print publications. Our professionally designed templates are sure to be a hit in your community. Our content is always family-friendly so you can feel comfortable distributing it anywhere. Quirky News: We scour the web each week for quirky news and fun facts to put in the newsletter. Whether an animal anecdote, an amusing tale about dumb crooks, or some bizarre gadget, our stories are sure to put a smile on reader's faces. Jokes: Mixed in between the puzzles are the funniest jokes we can find. Your readers will be grinning from ear to ear. Stan'N'Isaac: We feature the comic strip, Stan'N'Isaac, each week on the front page of the newsletter. The cartoonist, Jeff Swenson, does a masterful job of capturing the hilarious, and often ridiculous antics of two young friends. Puzzles: A publication just isn't complete without puzzles, and that is why we offer some real classics: Word Search, Crossword, Sudoku, and a Maze are featured in our weekly content. We offer several membership options to suit any budget. We offer Monthly, Annual, or Lifetime subscriptions. For more info, or to get started, please click here. All membership fees are paid through Stripe, an online payment terminal. It is fast, easy, and secure. And best of all, it is FREE for you to use. You will not pay any transaction fees when sending us money. Paypal gives you the option of paying with existing balances, bank accounts, or major credit cards. We are not able to accept any other forms of payment: checks(cheques), cash, money orders, direct credit card payments, etc. Will my membership rate increase each year? As long as your Paypal subscription remains active, your monthly membership fee will never increase. However, if you cancel your subscription, or if fails because of insufficient funds, you will need to sign up again at the current monthly rate. If our rates have increased since your original membership purchase, you will pay the new monthly rate. The annual membership is valid for one year. At the end of the year, you will need to subscribe again if you wish to remain an active member. If the price has gone up, you will pay the new annual rate. You are not subject to rate increases, as your one-time payment grants you membership access for life. All Membership Plan purchases at LaughableNews.com are covered by our "7-day No Questions Asked Refund Policy". Within the first 7 days of your purchase, if you are not satisfied with our product, you can ask for a full refund. Subject to Terms of Service. Refunds are only offered on your first subscription. Refunds will not be offered after 7 days. 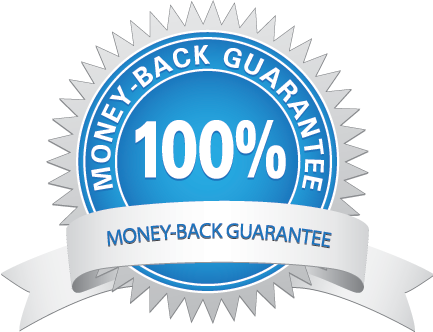 Refund amount is equal to the membership fee minus any applicable discount (if any). Refund is not applicable on membership renewals. Refund would be denied in abuse cases, with abnormally high numbers of downloads within the 7 days. The Laughable News reserves the right to refuse refunds if any efforts of refund policy abuse are detected. Where can I use the content? You can use our content in any print publication, whether you are starting a community newsletter with our pre-designed templates, starting your own publication, or even if you just need to add some padding to an existing publication. The list includes, but is not limited to, things like community newsletters, newspapers, professional newsletters (ie Doctor, dentist, chiropractor, etc), school newsletters, interoffice company newsletters, and more. This agreement does not include the right for the Buyer to publish the Templates, or any portion of the Templates, online, or include them in any online distribution format such as, but not limited to, email newsletters, ezines, podcasts, etc. That right is exclusively reserved for the Seller. Can I change the name/branding and layout of the newsletter? Of course! The great thing about using our templates is that you can do whatever you want with them. Change the name and logo, change the layout, add your own local content, etc. You are also free to keep the name/logo and publish your newsletter under the name The Laughable News. You may make any changes to the Template without notice to us. These changes include, but are not limited to, the name of the newsletter, the header design, the layout of ad and content columns, and/or the content of the newsletter. However, if you continue to use the copyrighted name "The Laughable News" anywhere on the Template or elsewhere, then you MAY NOT make any changes to the layout of the Template, and it must remain original in its entirety. Now, with that said, if you are wanting to make changes to the layout, we would love to see what you come up with. If we like your design, and feel that it is not going to cause any copyright violations, we may approve it for use with our name/logo. If you have any questions, please feel free to contact us. You MAY NOT use our copyrighted name, The Laughable News, as part of a legal entity(ie. corporation name), or on your bank accounts. Is this a franchise system? We ARE NOT a Franchise System. We simple provide content to you for use in your own print publication. We have no say over how you run your business, what you charge for ads, etc. We are simply here to offer content, and paid support should the need arise. Software purchase is optional. If you want to layout the weekly newsletter yourself, you will need Adobe InDesign (PC or Mac) to take advantage of our predesigned templates. If you wish to design your newsletter in a program other than Adobe InDesign you can simply use our Zipped File Package. It contains all of the content from the weekly template, but saved as individual text and image files. If you are not comfortable completing your own layout, we do offer paid support services for newsletter layout and ad design. Is support provided in my membership fee? Your membership DOES NOT include support. If you require assistance with newsletter layout, or ad designs, we do offer paid support. The Buyer receives non-exclusive distribution rights to publish the Laughable News template, or parts of the template, with the following restriction. Note: We have discontinued the practice of offering exclusive regions. If these regions become available, they will be removed from the list. For more info, please read our Terms of Service. All Membership Plan purchases at LaughableNews.com are covered by our "7-day No Questions Asked Refund Policy". Within the first 7 days of your purchase, if you are not satisfied with our product, you can ask for a full refund. Subject to Terms of Service.